I am sorry to tell you of the passing of John McNeely, one of the pioneers of Connecticut conservation, on January 11 in Norcross, Georgia. He was 67 years old. John was the first land steward and acquisitionist of the Weantinoge Heritage Land Trust, the largest land trust in CT and one of the largest private landowners in the state, and worked with the trust from shortly after its founding in Alice McAllister’s kitchen in New Milford in 1965 until he retired as a board member in 2005. He was directly involved with the preservation of thousands of acres in many towns in Northwestern Connecticut. He was also the source of many entries in the DEEP Natural Diversity Database, early record tree databases, and the discoverer of a significant Native American summer village site along the Still River in New Milford. After leaving Weantinoge, John retired to Sorrento, Maine on the north coast of Frenchman’s Bay. He thence eventually made his way to his family’s land in Georgia, where he eventually passed away. His ashes were scattered in the Joyce Kilmer Memorial Forest in Nantahala National Forest in North Carolina. He was a mountain boy to the very end. John is most well known nationally for his long-time relationship with Veedor, the only Andean condor ever to be allowed by the USFWS to be in private care. John and Veedor traveled around the country as advocates of avian conservation. He was a nationally known falconer, hawk trainer, master birder, and and an accomplished botanist, almost all self-taught. He was a general aviation pilot of impressive skill (I know this from direct experience) and a competition hang glider pilot known for his ability to tease the most subtle lift out of nearly calm air. He was also a remarkable filmmaker who captured the essence of raptors in flight by flying among them in hang gliders and helmets outfitted with 16mm cine cameras. 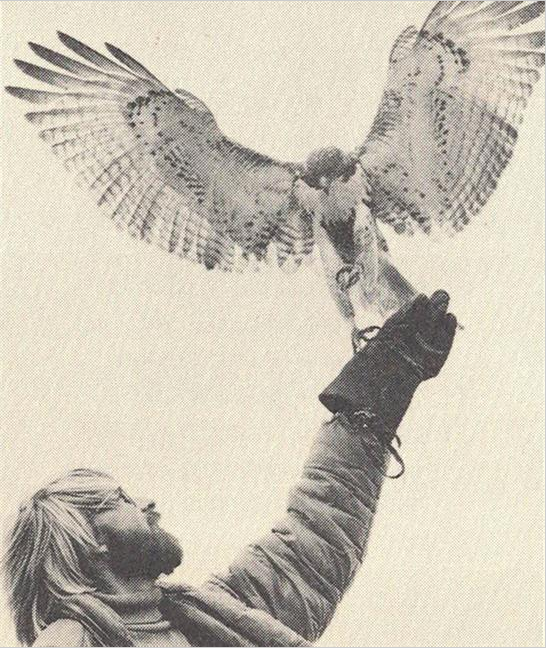 John himself was the subject of a 1980 documentary by Hugh Morton called “The Hawk and John McNeely”, described as such: “John McNeely, a naturalist from Grandfather Mountain, trains a red-tailed hawk in the sport of falconry and hang gliding. Then the film, for the first time ever to this degree, shows man satisfying his age-old dream to fly with the birds.” It is a remarkable film that resides today in the archives of the University of North Carolina. A later incident aloft during such work led to a dramatic mid-air crash at altitude that left John with chronic pain for the rest of his life. Yet this did nothing to stop him from caring for his birds and pushing Weantinoge ahead in the years when land trusts were quite rare. John was in demand as a tropical birding guide and for many years, typically during northern hemisphere winters, he would travel to Cuba, Central America, and South America and lead trips into the jungles. Which are the places of nightmares to your writer who dreams of the boreal forest. His trips were always filled as soon as they were announced. He was one of the first Americans allowed into Cuba to do bird work back when US-Cuba relationships were quite more sour than today. His cabin was filled (or better, strewn) with correspondence from clients and researchers of such diversity that I could never find a way to organize it (one of the rainy day projects he gave me when I worked for him). Encroachments (damage to land trust lands) were John’s demon in life. Whenever we discovered something amiss, John got the red mist. His need to defend what he dedicated his life to nurturing was overwhelming. Let’s just say that you did not want to be the encroacher. I quickly learned that one of my main tasks in encroachment was to get John out of there ASAP or else there would be fireworks, something very rare in such a gentle man. He caught on to what I was doing and would make me do things like map every cut stem in a clearing encroachment as punishment. In one case on North Spectacle Pond in Kent, I precision-mapped over 2,000 black gum (Nyssa sylvatica) stems in a grid in a wetland. For weeks. John was teaching me exactly why he was upset. I learned my lesson and I have been a bulldog, sans fireworks, about encroachments ever since. John was naturally inquisitive and never did anything strictly as procedure. He would not have been happy in today’s national land trust accreditation-focused world. His focus was deeply on the land much to the exclusion of all else. I was his sidekick in the wild-west days of land protection and when we closed on a new preserve, the work of exploration would begin and we would learn everything we could about the place. No rapid baseline reports, no knock-it-out management plans. We knew the stands, the birds, the predators, the walls, the soils, the seeps, the charcoal pits, and often the tallest tree. Everything got the research it deserved but documentation was tertiary because we weren’t doing it to create reports – we were learning it to understand the place as the basis for our caring for it. A lot of my early role was to document John’s work but even then, rarely would he release the final reports. They would just disappear into the tumbleweeds of his cabin. I remember simultaneously marveling and sighing at the amount of verbiage he crammed onto the side of a paper grocery bag. But we knew a lot about a lot of places and wildlife. From John, I learned more about five-lined skinks, timber rattlers, copperheads, and mole salamanders than most herp grad students learn in their programs. He taught me how to trap and release bog turtles when today that could put you in prison. He also taught me how to pull poacher’s traps of all sorts without getting maimed. It was all pretty remarkable. As I previously mentioned, John found a native village site on the Still River in southern New Milford, and engaged the archaeologists from the native studies center in Washington, CT to do a dig at the site. During our botanical survey, John found Great Saint Johnswort, an endangered plant, adjacent to the site. Something about the plant and its location relative to the river and the ruins triggered his curiosity, and he sent me down to the Klein library at Yale to do some research. Well sure enough, there in the Iroquois Pharmacopeia was GSJW listed as a plant kept in cultivation for wound treatment. The plant is endemic to the Saint John’s River in northern Maine and was traded among natives as a medicinal plant. So there we were, standing among the living descendants of a crop kept by the inhabitants of the preserve from 600 years BP, knowing this only because some curious itch happened in John’s mind. Again, remarkable. Some of the best days of my life were spent sitting on the porch swing of his Appalachian cabin at the foot of Red Mountain in White Hollow in Sharon talking about the preserves and ecology and philosophy and listening to his stories as the sun set and the shadows enveloped us and Veedor entertained himself in his nearby flight cage. Sometimes John would drag out his projectors and we’d watch films and slideshows on the side of his barn. Afflicted with chronic Lyme Disease back when no one knew that it was a major problem, he was a big fan of Ecuadorean doxycycline and kind Northern California bud and living proof that Avon Skin-So-Soft is not an effective tick repellent. He loved clove cigarettes and fine spirits and Calvin and Hobbes and mini-vans with condor cages. He was a terrible cook but nobody’s perfect and everything that Veedor ate was decayed so it really didn’t matter. During the years I knew him, John was unmarried but not for a lack of opportunity. His true love was Elisa Scholsohn who was the anchor he needed, a lovely and creative girl who knew John better than the rest of us. She lived in the cabin for a year, earning hero status for that if nothing else. They eventually split because of John and I remember him turning even more deeply inward afterward. But life went on. He had a few relationships later but the ladies never wanted to be at the cabin because they didn’t want to live with the wild field mice with whom he intimately lived. In combination with his knowledge of the natural world and his zeal to defend the land, John’s willingness to live primitively has always made me equate him in my mind with Muir. He was a helluva character, altruistic to his core, and just a damn good man. John McNeely is the archetype of the effective conservationist: dedicated, brilliant, outraged, selfless, modest, stubborn, and kind. I wanted to share this with you, my brothers and sisters in conservation, because John was such a pioneer in our work and in our culture and he deserves a proper tribute. Here is a memorial essay written by John’s family, containing many elements of his life that I never knew. He was such a humble and unassuming man of great accomplishment. John Wayne McNeely passed away in Norcross, Georgia on Thursday, January 11, 2018. John was born August 26, 1950 in Dayton, Ohio to James Bernard and Anna Louise (Hargrove) McNeely. He attended schools in Dayton, graduating from Beavercreek High School in 1968. John was a nationally renowned naturalist, filmmaker, falconer, master birder, and conservationist whose life’s work left the world a better place. As a youth, John enjoyed being outdoors – hiking, camping, and canoeing. His passion for nature and conservation was piqued during high school from working at Aullwood Audubon Center, and from researching the pollution of Little Beaver Creek near his home for a school science project. John’s project won the Ohio Junior Academy of Sciences award at the Ohio State Fair, but more importantly, garnered public awareness of the problem. As a result of his research, John was offered a position as an education assistant for the Greene Soil and Water Conservation District the summer after graduating from high school. In 1972, John received a BS with honors from the School of Natural Resources at Ohio State University, where he was president of the Earth Day Society, and served with Senator John Glenn on the Governor’s Task Force on Environmental Quality. John was a naturalist at Assateague Island Natural Seashore (1971-72), Pratt Education Center, New Milford, CT (1973-76), and Hillside Outdoor Education Center, Brewster, NY (1977-79). In 1976, John testified before a House subcommittee on behalf of the federal strip mine reclamation bill, and a year later witnessed President Carter’s signing of the bill in the White House Rose Garden. John was an experienced aviation pilot and a competitive hang glider pilot. In 1980, he was a member of the Grandfather Mountain (NC) hang gliding exhibition team, earning the “Order of the Raven” awarded to elite pilots who remained aloft for at least an hour. He was filmmaker, along with Hugh Morton, and subject of the 1980 award-winning documentary “The Hawk and John McNeely,” showcasing John and his trained Red Tail Hawk soaring in tandem above Grandfather Mountain. John and the film were featured on many nationally televised programs, such as ABC’s Good Morning America and NBC Magazine with David Brinkley. For over two years John worked as a production associate for the IMAX film “On the Wing,” which explores the history and natural history of flight. The film premiered at the Smithsonian’s Air and Space Museum and the American Museum of Natural History in June 1986. In addition to training a captive-bred golden eagle for the film, he was sent to Europe, Peru and several places in the US to research locations and facilitate production. He even appears in the scene recreating the Wright brothers’ first flight at Kitty Hawk. Unfortunately, John was seriously injured while hang gliding for the film in Carcassonne, France. 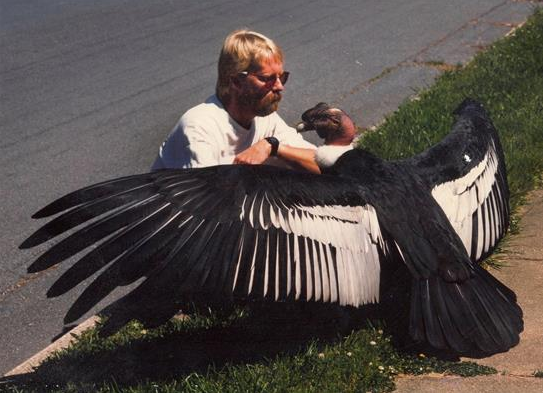 In 1987, John’s sensitivity to soaring birds earned him a place on the California Condor Recovery Team. His exclusive historic footage of the last wild flights and capture of the last great bird was seen on TV news worldwide and his photos appeared over Associated Press and in Time and Discover Magazines. In 1988, the U.S. Fish and Wildlife Service transferred an imprinted Andean Condor to John, who then pioneered techniques for the condor, named Veedor, to become a free-flying educational ambassador. Schools in many states praised the presentation as the best program they have ever had. John created many films over the years, including For Spacious Skies (1971), Cloudbase (1977), and footage of ravens for a TV documentary produced by Survival Anglia (1990). In 1988, John became the first person to film many species of birds endemic to Cuba, including the world’s smallest bird, the Bee Hummingbird. In the early 1990’s, John led expeditions to remote areas of Cuba in search of the presumed extinct Ivory-Billed Woodpecker. In addition to volunteering countless hours to land trusts and other nonprofit nature organizations and aiding them in acquiring thousands of acres, John professionally assisted land trusts by preparing inventories and management plans for their preserves. 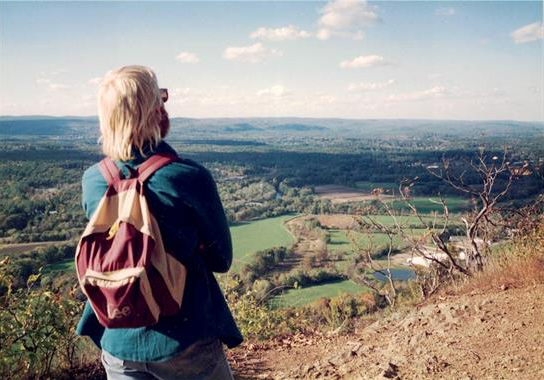 Beginning in 1980, John was the preserves manager of the Weantinoge Heritage Land Trust, Connecticut’s largest land trust, and was directly involved with the preservation of thousands of acres in northwestern Connecticut. He also served on the board of directors for Sharon Land Trust, Housatonic Audubon Society, and Weantinoge Heritage Land Trust. John lived for over 25 years at the foot of Red Mountain in White Hollow near Sharon, CT in a 19th-Century cabin he had moved from the Appalachian mountains of North Carolina. After retiring, he eventually moved to Norcross to be closer to family. John is survived by his brother Jim McNeely and wife JoAnne of Newark, DE; sister Mary Ann Owens and husband Paul of Lilburn, GA; brother Rick and wife Fran of Tucson, AZ; brother Bruce and wife Carol of Bettendorf, IA; and many cousins, nieces and nephews. A private memorial service will be held on Saturday, April 21 at 11 am at the Historic Tapoco Lodge in Robbinsville, NC. A private ceremony to spread his ashes among the ancient tulip poplar trees in Joyce Kilmer Memorial Forest will follow on Sunday morning, April 22 (Earth Day). Memorial donations in honor of John may be made to Weantinoge Heritage Land Trust, Inc., 5 Maple Street, PO Box 821, Kent, CT 06757. I’m saddened to hear of John’s passing. Like you, I have some fond memories of John and lasting respect for his ethics and his accomplishments, of which I know only a little. Thanks Harry for sharing your perspective. Thanks, Chris. I know that he had the highest regard for you including your skills as a master botanist. Thanks, Chris. You and I met through John. He was a helluva guy and I’m saddened that we’ll never be together again. Wonderful tribute and so well-written. Thanks, Jim. John was a trailblazer in our business and I know that he would have counted you among his worthy conservation companions. I too am sorry for the passing of your friend. Thanks, Pete. I appreciate it. I hope that life is treating you and your lovely family well. opening year. My life is richer because of it. Ah! The author of the Veedor the Condor book! You did a wonderful job capturing the essence of Veedor and John. It is a much loved book in our collection and we’ve donated it to several libraries in the county. It’s an honor to see you check in here. I met John about 25 years ago, it’s hard to remember what came first, whether I met him because of his Condor presentations, or because we heard about him from Noel Snyder who was the project director for the California Condor recovery. John told me he was on that very last capture of all the wild Condors. He was already in pain then at that time. He brought his Andean Condor, Veedor several times to groups I was in, and it was getting hard for him to manage the bird because he would have him jump up onto his hands bent over his shoulders. Strange sight. I was fortunate to visit his cabin a couple of times. It was a one room cabin with bunk loft. It was strewn with papers. Amazing he could actually live there. I remember what a gorgeous clearing in the woods he lived in, and there were warblers galore. A great man. Susanne, You’re one of the few who saw John in all of his dimensions, including the Red Mountain cabin. It was quite the place, now owned by a rather famous New Yorker artist. I still work a lot in White Hollow – John knew what he was doing when he found his home there among the migratory birds. It’s an avian paradise. Harry — As John’s older brother, I appreciate very much your thoughtful and poignant reflections on John’s life. We are planning to have memorial service in warmer weather. He had requested that his ashes by scattered in the Joyce Kilmer Memorial Forest near Robbinsville, North Carolina. We all were hoping, when he moved back from California, to be near his sister Mary and brother-in-law Paul in Georgia, that he would recover his health. We were encouraged that he was able to hike some after getting settled in Georgia (Norcross, GA). So sad to hear this, Harry. Thank you for the wonderful tribute to a man and a bird whom I will never forget. I’m glad to hear that Veedor is still alive. Marge Smith, Studio Hill. You and I met through John and I remember that meeting. You are correct that his was an unforgettable character. We are lucky to have known him. Thank you for this wonderful tribute. I worked with John on some Weantinogue projects in the 80’s and had the utmost respect and admiration for him. I am deeply saddened to hear of his passing. He was a remarkable man. Thank you for your comment. I remember that John always spoke highly of you. Hi Harry. I just learned of John’s passing today via a friend on a CT Birding list. Your homage to John is touching and brought back special memories for me. I met you via John during the late 1990s when you were a grad student & John & I were a couple. (I lived with him for more than a year at the cabin). John was also a mentor to me (an educator/naturalist). I learned the true meaning of altruism from John. I observed his daily actions first-hand: he always considered the “greater good”- the earth/land, plants & animals- for the present as well as future generations- in the way he lived privately at home, as well as in his “work” (labor of love) with Weantinogue, Veedor & birds of prey. I’m glad to see that you have now “come into your own” and are now carrying on what you’ve learned from John (as well as your formal education & many other individuals)- and I hope that I’m doing the same in my own little way with my children & the way I live my daily life. What a special tribute and an honor to get to read about his career. I had the honor of getting to know John a little bit over the past couple of months while visiting him in his home. He was so appreciative for everything the home health staff did for him. He showed me his book with the condor. I giggled at the comment about his papers everywhere. That never changed. Haha. What a special guy! I’m not sure what prompted me to look up John McNeely and Veedor tonight, only to be greatly saddened to hear of his recent passing. Your tribute is beautifully written and captured the breadth and passion of his conservation work. 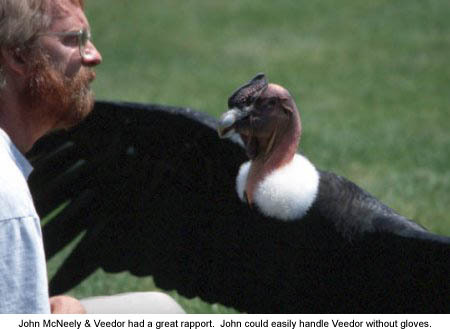 Back in the late 90s I was stationed at the field headquarters for the California Condor Recovery Program at Hopper Mountain NWR, and had the pleasure and awe of meeting John and Veedor. He was in the area for several days and we also accompanied him to the Santa Barbara Museum of Natural History. I recall in conversation with him, he said handling Veedor was getting very difficult – he did not mention the accident that took such a toll on his body. We are so fortunate that people like John grace this world with their love of nature. My heartfelt condolences to his family. Thank you, Jane. I am so happy that you had a chance to know John and Veedor. I know that he very much enjoyed his trip out to Hopper, having heard the story back in the earlier 2000s. I also recently learned that he spent some extended time in California after he left Maine, before he went to Georgia. I know that he loved California! I am so sorry to hear of John’s passing. I first met him when I was a young man attending summer camp at the Elliot Pratt Center. He took a group of us for a weekend camping trip in the White Mountains. I often reflect on his kindness and patience in dealing with a rowdy bunch of teenagers in the 1970’s. He never lost his cool and was always looking to teach us lessons at every opportunity. I well remember his cabin in Sharon and his tireless work of disassembling, moving, and rebuilding it there on White Hollow Road. One time, while performing some site work at the cabin, the weight of our bulldozer pushed the septic tank to its limits and he never even got excited about it. Shrugging his shoulders and smiling, I could tell he was helping me over my embarrassment, and he simply moved on. John McNeely was a true role model in my life. I am truly sad to hear of this loss. Thank you for such a touching tribute to a great man. I’m truly sorry to hear of John’s passing. We did a lot of hang glider flying in our Seagulls in the 70s. We both lived in Bethlehem. CT at the time. We flew at Race and Brace and Talcott Mountain and Greylock. He was always up for a day of flying. I last visited him and Veedor at his cabin in 1998 or so. He was a good friend and surely a man of many talents. I, too. am saddened to hear of John’s passing. Many years ago I had the rare privilege of spending time with him and Veedor when they were in California and I had the opportunity to go with them one day when he took Veedor out to fly. A magnificent experience I will never forget. I also recall the reverence he had for nature from his large scale contributions to conservation to the smallest, yet significant moments of teaching. One time he told me to close my eyes and hold out my hands. He gently placed a piece of Veedeors’s down on one hand so I could experience the weightlessness of it, while knowing it was there from the warmth. I am one, among many, who was inspired by his passion for nature and conservation and am grateful for his legacy. He will be missed. I don’t know what made me think of Veedor tonight…but I found your lovely tribute to John McNeely by happenstance. I was a intern at the Audubon Center in Sharon in 91-92 and took care of Veedor for a few weeks while John was away on one of those exotic birding trips. Over 25 years later, I can still remember that cozy little log cabin with Veedors dead rats sharing freezer space with John’s food. I also remember secretly cursing John while I was standing outside on those cold damp and windy March days with a dead rat in my freezing hands that I had slammed on a rock to give Veedor his special treat (rat brains) with Veedor wiping his beak on my jacket knowing at the same time John was in a tropical locale searching for ivory billed woodpeckers. I was happy when he returned! Sorry to hear of John’s passing. I was the film editor for “The Hawk & John” as we called it during production. Not only was John a master of hang gliding but had a remarkable rapport with wildlife. The hawk’s name was Altair and John worked for many months training it to to fly with him. All the work was done at Grandfather Man., NC owned by the film’s producer Hugh Morton, himself an award winning nature photographer. Over a period of about 20 years Hugh and I worked on dozens of wildlife and hang gliding films but of all of them The Hawk & John was the most acclaimed and was featured on shows like That’s Incredible, Entertainment Tonight, Good Morning America and many others. At that time TV programming was distributed on 16mm film and I’ve lost count of how many hundreds of prints were made and distributed around the world. Total production time was over a year and a half – not continuously, of course. Filming was always subject to weather conditions, which had to be “picture perfect” plus we were all involved in other projects. My job as film editor was not only piecing the footage together in a way that created a strong narrative flow (you don’t script a film like the Hawk & John, you start with an idea and develop it on the go) but also to make sure you were getting the kind of shots that would accomplish this. Because of that I was there during much of the filming to advise about camera angles, shots, etc. The “money shots” were the incredible shots taken in midair of Altair flying alongside John then landing on his glider handle-bars. The first time this shot hit the screen during the premiere, the audience went wild. Never before had anyone documented man and bird flying together. Since the cameras that were used to capture this footage had to be extremely small and lightweight, old WWII 16mm gunsight cameras were used positioned at the kite’s nose and wing tips. These camera only held about a minute and a half (50′) of film. They were operated by John using a cable release but of course he could not look through the viewfinder and had to guess when Altair was in camera range. Probably less than 10% of the footage was useable. But that footage was spectacular. Also, several of the cameras were lost when John tipped over upon landing resulting in film and camera gears flying everywhere. Luckily there was an abundance of these WWII surplus cameras available. Patience and determination was the name of the game and fortunately we all had lots of that. I’ve often said that I didn’t edit the Hawk & John, I re-edited it – over and over again, constantly replacing scenes with newer more spectacular footage and reshaping the narrative. It was one of the most painstaking film projects I ever worked on but also one of the most rewarding. It was a pleasure working with John. He was just as you described, quiet, soft-spoken but relentless in realizing his dreams. My father used to tell me that when you left this world it was important to leave it a little better than how you found it. John did that in spades. Robert, Thank you so much for this comment on John and your film work with him. It made my day and once again proved to me that John left a mark on everyone that he encountered. 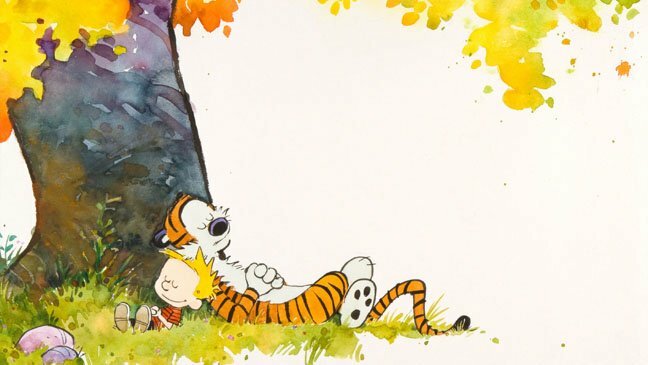 Your dad was a wise man – I hope that I can leave the world a little better than I found it, too. Blessings, Friend! I, too, just happened to look up John and Veedor tonight, and found your piece about him here. Very sad that he is gone and sad that I didn’t stay in touch better. I spent a fall season at the nature center in Sharon back in the late 80s and was fortunate to be able to spend time with Veedor now and then, feed him chicken feet. I remember John walking through the beautiful meadow in front of the cabin spreading seeds from the wildflowers as he went. My husband Jim and I hosted him and Veedor in Georgia and Colorado for some school and community programs – great memories. I have a scar on my arm from Veedor deciding to nibble on me instead of flying toward the crowd of students after I opened his cage. I remember John running across the field to save me! I wear my scar proudly, though. John was a gentle soul – I know he is missed by many.